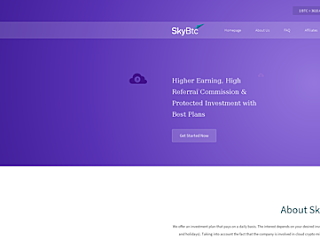 In this review we'll ascertain if SKYBTC.io is scam or legit, Paying or not paying, secured or not and whether you should invest or not. 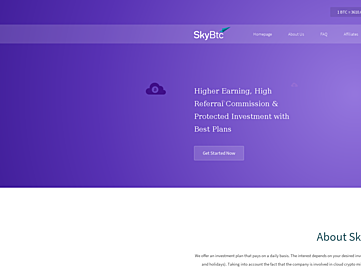 SKYBTC is a scam hyip project that claims to pay its investors from 8% daily upto 12% daily for 20days returning from 60% to 140% in profits and maybe it's paying now, don't let that trick you into investing with them. A HYIP is always a hyip and sooner or later it may likely stop paying.